Many people don't hear about the electronic cigarettes, so they feel upset while facing all kinds of products, expensive or cheap; beautiful or elaborate of different types. They feel confused how to make a right choice. If he chooses a cheap one, he may find the product is easily broken and then think the electronic cigarettes as rubbish; If he chooses a little one, it uses up the electric quickly; If he buys an expensive one, he will think it is not worth with such a price after a few days. I will show you how to choose a suitable one in the following. The usual electronic cigarettes are made up of the two parts. The body is made up of cell box and atomizer. 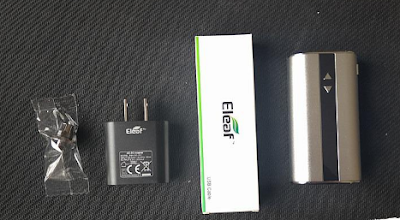 The batteries drive atomizer to heal the tobacco tar inside it in order to produce the smoke. The center of atomizer is the atomizing core, which is consumable, usually just lasting one or two weeks. The atomizing core is made up of cotton used to absorb and guide oil and heating coil used to heal the oil in the button so that the atomization is formed. The cotton is easy to get burnt after a long-time use. That’s why the atomizing core is consumable. The tobacco tar is made up of four basic matters: glycerinum, propanediol, essence, nicotine(optional). The glycerinum is used to produce smoke. The propanediol to mix the essence, glycerinum and nicotine. Essence and nicotine's function is easy to understand, one for blending of flavor, the other for addiction. And nowadays tobacco tar adds some other additive for adding tastes, such as sweetener and cooling flavorings. But the basic matters are the above four. As for whether there being harm or not, it will be obvious if you get something about the theories of the electronic cigarettes from reading the above. The electronic cigarettes don't contain CO and tar. The smoke produced by healing instead of burning is atomizing glycerinum and vapour instead of stive so there is no harm of passive smoking. So people who want to make use of electronic cigarettes to give up smoking or take place of smoking needn't worry about it. The electronic cigarettes must be the first choice. These are two types of finished products of atomizer, one is smoking Imitated tobacco oil so just like the traditional smoking; the other is absorbing large smoke directly by lungs like absorbing the air. All kinds of tobacco oils are suitable for the former while the later can't use the imitated oil, which will be choking. And whatever atomizers are for the former. So you need to consider to choose which type carefully and then choose suitable atomizer. We suggest those who are not sure just buy the body box, which almost can use all kinds of atomizers on the Eleaf® iStick vape store.